Complete your Washington real estate continuing education requirements. Our courses are designed to help you fulfill your CE credits for your Washington real estate license renewal. This is an online real estate school that offers you the convenience of studying at your own pace in any location with Internet connection. 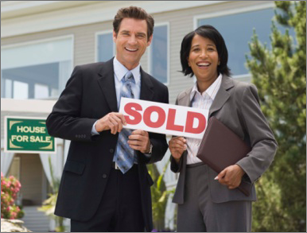 Our real estate CE courses meet the requirements of the Washington Department of Licensing. Take your Washington real estate continuing education now. The Washington Department of Licensing requires licensees to complete 30 hours of continuing education every two years, 3 hours of which must be in the mandatory Washington core course. This Washington Real Estate CE package includes 3 hours of the mandatory core course requirement for you to be able to fulfill the mandatory requirements and learn important techniques, skills and business knowledge. Our courses give you the flexibility to take your CE courses whenever and wherever it's convenient for you. Courses include Real Estate Math, Qualifying Buyer and Property, Washington License Law Contracts, Human Land Use, Meth Madness, Water Resources and Current Issues in Residential Washington Real Estate 2018-2019. The view the description of individual courses, just click on the individual courses below.